Peripheral Neuropathy: The Role of Probiotics and Other Nutrients in Neurodegenerative Diseases. When I saw the theme for this edition, I was some what taken aback. The reason is that this is rather a topic close to my heart as a good friend what just diagnosed with peripheral neuropathy. In fact, I'm having dinner with him later tonight to discuss various natural options he has available. In my recent book, The Probiotic Solution (Dragon Door Publications)1, I discuss the role that probiotics can play in helping to restore eukaryotic (Human) cellular function. I will come back to that in a minute but let's first discuss what is 'peripheral neuropathy. First, Neuropathy is defined classically as "an abnormal and usually degenerative state of the nervous system or nerves; also: a systemic condition that stems from a neuropathy." The later definition is annoying but is commonly found in dictionaries. I think it is annoying because the use the same word to define what the word is. That has never had sense to me, personally. With neuropathy define; we need to explore what peripheral is. The number one definition is equally annoying as it is, "1: of, relating to, involving, or forming a periphery or surface part." If we go and find what 'periphery' means we find the definition of, "the external boundary or surface of a body." Now that makes sense! So what do we have here? Peripheral neuropathy is, to boil it down, a degeneration of neurons in distal (far from the center) places of the body. In my friend's case, it is his legs. This is common with this diagnosis. If that is peripheral, what is the center? That becomes a bit more complicated. Typically, it is considered to be the brain and spinal cord, for neurons. This is where the bulk is thought to be. However, there is certainly more to this. We are now coming to understand that the 'gut' (gastrointestinal tract) is loaded with enough neurons as to be dubbed, 'The Second Brain." So what? Why is that important? We now know that every single neurotransmitter in the 'brain' is also produced in the human gut. The cool thing about nature, and evolution, is it wastes nothing. I was at a DAN! Think-tank a couple of years ago and heard of Dr. Michael Gershin's book, The Second Brain (Harper Collins, New York, 1998). This fascinated me, because I have a strong background in gut-based immune competence of the body. He basically lays out the case that the gut and the Brain are intimately connected, though we are not sure how. There are many things that are cytotoxic to cells. For instance, we know that Prostaglandins (of which there are numerous ones) are such compounds. These are formed by the degradation of arachidonic acid by cyclo-oxygenases –1 and –2 (cox1 and cox2, respectively). There has been much ado about how bad inhibiting cox1 on enzyme is on mucosal membranes and its possible contribution to ulcers and cancer. This paper is not really about but rather to let you know that those active enzymes, both of them, are in part responsible for the degradation of cells. What all can be done and what role can probiotics play in this? All nerve cells have a cell membrane. That membrane is composed of phospholipids, which are fat molecules with phosphates attached to them. All cells have phospholipids, especially the bilayer of human cells. If a cell does not have them, or enough of the, then the integrity of the cellular membrane will be weakened. Eventually, if this goes on for protracted periods, the cell will die. The translation, if we are talking about neurons, is that the neuropathy will result. The use of probiotics has several important implications in treating and even preventing peripheral neuropathy. For instance, taking phosphatidyl serine (PS) can restore the weakened cell membrane that's thought to lead to disease. PS can be produced in the body and also introduced by ingesting things such as eggs and other supplements. Doing so will ensure that every living thing in the body-the bacteria as well as the human cells- will contain membranes composed mainly of phospholipids, interspersed with sundry protein and glycoproteins. Taking PS has both prophylactic (that is, preventive) and therapeutic purposes. Any cell that's starting along the road toward death (and remember, all cells eventually die) will be much more stable and much happier if you give it a supply of PS. With this boost, the cell will be better ale to fend off the ill effects of accumulated toxins. Remember the prostaglandins? Hopefully, a picture is starting to form for you. Taking something like Alzheimer's Disease as an example, it has been shown that at least 300 mgs / day of PS will have significant results. Where do the probiotics come in? If one starts ingesting a bunch of bacteria (in the multiple billions / gram), many of them will die. This is actually good because the cell wall components of these bacteria, most of which are phospholipids, will become available for absorption by the body. Can the degenerative process be stopped or at least slowed? Yes! at least to some degree. Again, supplementing with PS is a good idea. Also, we can use high-dose probiotics (my favorite for a number of situations). As a brief aside, there may be other natural ingredients that can slow the body's production of cytotoxic compounds. For instance, overproduction of Nitric oxide (NO) has been implicated in various pathological processes, including septic shock, tissue damage after inflammation, and rheumatoid arthritis.2 Inhibitors of NO synthase, natural ones, would be very interesting to look at as possible targets for reduction of inhibition of the inflammatory cascade, which in my humble opinion, is at the root of most of our degenerative diseases. Mitochondrial dysfunction is also thought to be at play here. The mitochondria are the powerhouses of the cell, supplying it with energy. When the mitochondria don't function properly, there's an increase in the accumulation of free radicals and also influence in the calcium (a very important second messenger that affects DNA expression) levels. All of this is significant in terms of neurodegradation. Some common supplements that can assist with this are things that quench the reactive oxygen species (ROS) and other free radicals. My favorites are enzyme CoQ10 and green tea. The inflammatory response is so good at its job that it is actually capable of over doing it and tearing apart/destroying healthy cells. This can largely be prevented by the constant consumption of large amounts of antioxidants. Personally, I must drink a gallon or two of green tea a day. I am that convinced of how important it is to a long and healthy life. A free radical is a molecule that has an uneven number of electrons; as such, it has an open (or half) bond that is highly reactive. The production of free radicals is a normal part of the body's living process; in fact, they are produced all the time. But usually, mechanisms are in place to control free radicals and eliminate them once produced. 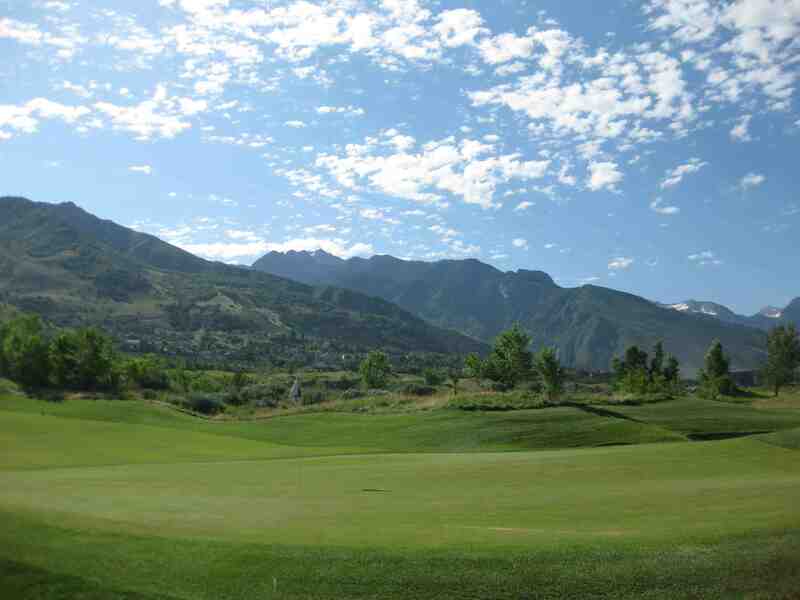 When free radicals are allowed to accumulate, they go after healthy cells and cellular components. They are like little lightning, zapping other cells and producing even more free radicals. Having too much calcium in the body is not always a good thing, despite what the large pharmaceutical companies (one in particular) are claiming on TV ads. Why? Calcium is intimately involved in a process called signal transduction. Basically, this involves taking a signal from out side a cell to inside and affecting the DNA. When this happens to nerve cells, it affects the voltage gradient required for the passage of electrical impulses. Calcium is a charged molecule, and changing the amount of calcium inside or outside a cell can change the level of current the cell is able generate. Probiotics can help stabilize the level of calcium. If a large amount of calcium is ingested, for instance, then the probiotics will be able to consume much of it. And what the probiotics don't consume, they will push out of the body along with the normal waste material. Also, calcium is usually bound, so if there is too little, the probiotics will help liberate the calcium front a bound state. Isoflavones (naturally occurring, weakly estrogenic compounds that are derived from soy, usually) have been shown to be important for neurodegenerative diseases, in a sort of roundabout way. There is a protein called tau that's regulated by estrogen and estrogen-like compounds, such as isoflavones found in plants and, in particular, in soy. There are two types of isoflavones' those with and without a sugar (glycone and aglycone, respectively). Isoflavones are big and bulky when the sugar is attached; in order for them to be absorbed, the sugar has to be removed. This is done by and enzyme called glycosidase (literally "sugar cleaver"), which cuts the sugar from the isoflavone molecule and allows for absorption. This must happen before the body can use the isoflavone. Products such as Fermasoy have been fermented with probiotics to create a protein powder that's high in aglycone isoflavone. Consuming these products not only provides high-quality protein but also a relatively high level of the absorbable isoflavone. Not all probiotics can create the sugarless isoflavones at the same level though. Certain ones have been tested and selected for their various abilities. The MAKTech process of strain validation and certification is designed to optimize just this sort of parameter. Given the 'baby boom' generation is fast approaching thee age which neurodegeneration is going to start appear more and more often, it's vital that we lean more about this process. Doing so is of particular importance when we consider that many of the people who run our governments are at or near this age. Personally, that is somewhat frightening. Until a cure for conditions such as peripheral neuropathy is found, taking probiotics may serve well as a valuable tool in at least slowing the progression of the disease. And in terms of improving the quality of life for people with neurodegenerative diseases, as well as those around the, this would have an enormous and far-reaching impact. 1. Brudnak, Mark A. 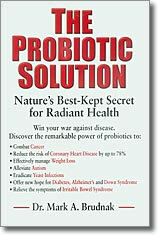 The Probiotic Solution Dragon Door Publications, MN. 2. Di Giacomo C, Sorrenti V, Salerno L, Cardile V, Guerrera F, Siracusa MA, Avitabile M, Vanella A. Related Articles, Links Abstract Novel inhibitors of neuronal nitric oxide synthase. Exp Biol Med (Maywood). 2003 May;228(5):486-90. 3. Zhuang H, Pin S, Li X, Dore S. Related Articles, Links Abstract Regulation of heme oxygenase expression by cyclopentenone prostaglandins. Exp Biol Med (Maywood). 2003 May;228(5):499-505.